hub West Scotland are delighted to announce that the following contractors have been appointed as our Housing Delivery Partners. 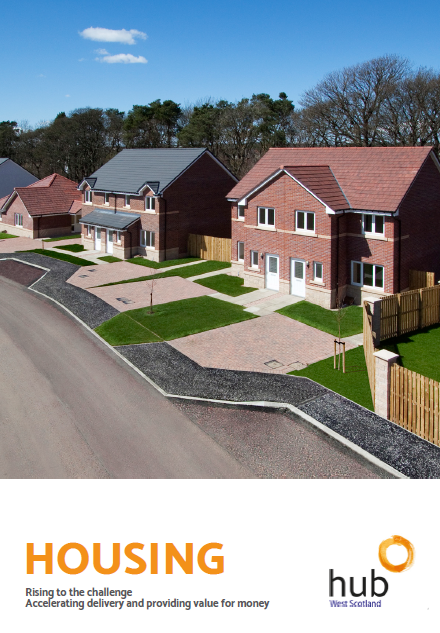 Each contractor demonstrated a very strong commitment to providing excellent value for money and to working collaboratively to deliver high quality developments. We are delighted and impressed by their enthusiasm to play a central role within hub West’s compelling best value Housing model. Our Partners now have the opportunity to bid to deliver £15m Tom Johnstone House development for East Dunbartonshire Council. This exciting and important project will deliver over 100 high quality social homes in Kirkintilloch. The response to invitation to tender was fantastic and presented hWS with an inspiring range of applications. We have therefore decided to maintain a relationship with three further contractors. These organisations will allow hWS to expand the programme should we receive a specific Participant request, business development opportunity, require additional capacity or specialist expertise.